Many problems in materials science are image-based, yet few researchers have expertise in machine vision—making image recognition and analysis a major research bottleneck. As a student, Li realized that he could leverage training in the latest computational techniques to help bridge the gap between artificial intelligence and materials science research. 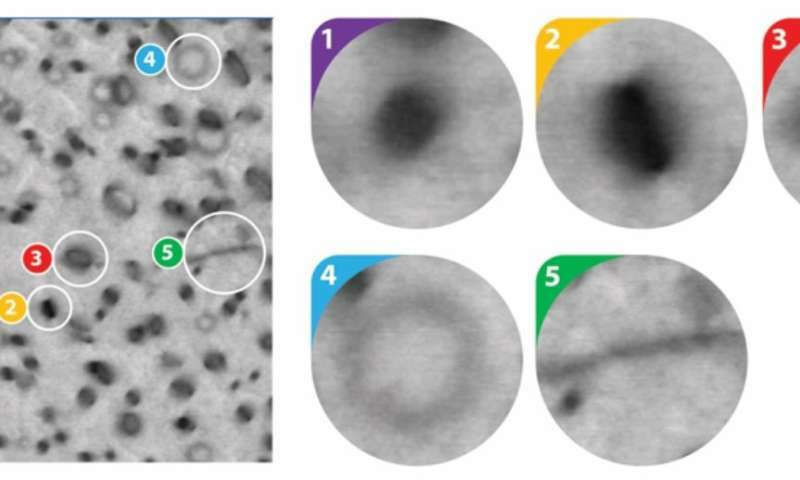 The researchers targeted machine learning as a means to rapidly sift through electron microscopy images of materials that had been exposed to radiation, and identify a specific type of damage—a challenging task because the photographs can resemble a cratered lunar surface or a splatter-painted canvas.